The BCFM Committee are delighted to announce that Tino Carnevale will be appearing at the market this Sunday, how exciting! 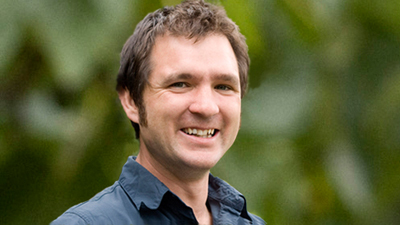 Tino is Gardening Australia’s presenter in Tasmania and is also often heard on Gardening Talkback, on ABC local radio’s Saturday morning program. Tino will give a presentation on dealing with fire affected plants and fruit trees, the best crops to plant now, what to avoid planting, and how deal with fire affected soils. There will also be a Q and A session to follow. We are delighted that Tino is able to attend the market – so come along and find out what to do in your garden!